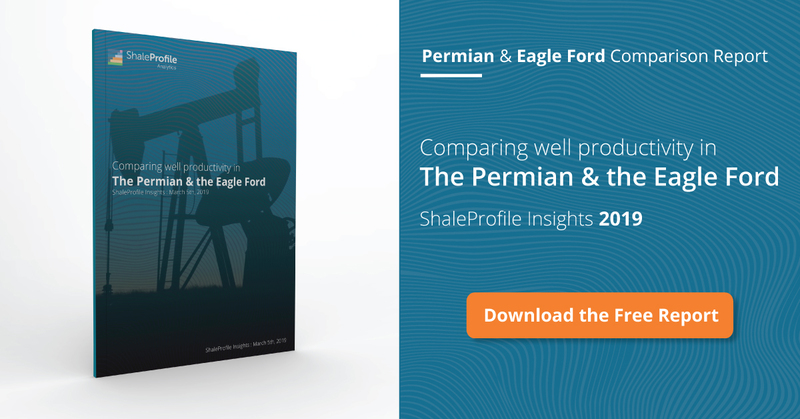 This interactive presentation contains the latest oil & gas production data from 68,713 horizontal wells in 8 US states, through February. Cumulative oil production from these wells reached 6.5 Gbo, while cumulative gas production topped 54.7 Tcf. Oil production rose in February to over 3.7 million bo/d, even before typically upward revisions. All basins contributed to this growth. Gas production showed an even larger relative gain (switch “Product” to gas to see this), to over 35 Bcf/d, with just over half coming from the Appalachian basin. These wells are therefore responsible for almost 50% of total US gas production. The “Well quality” tab gives an overview of the production profiles of all these wells, averaged by the year in which they started. I have preselected the major oil basins in this view. Major improvements in especially first year performance have significantly dampened the effect of fewer completions in the last 2 years. The wells shown here that started production before 2010 are located in the Bakken region (ND & MT), which appear to have better late-life performance. The final tab (“Top operators”) shows the output and location of the 5 largest operators. You can see that EOG produces twice the amount of oil compared with the number 2, while Chesapeake holds a similar position for gas. This “Ultimate recovery” overview gives another view on the same production data, with again the major oil basins preselected. Also here these initial productivity gains are visible, and more so if you switch to gas. Displaying these curves by “Month of first flow” presents the most recent data, with the finest level of detail, and may help in estimating potential recovery ranges. I sometimes use the 4th tab (“Production ranking”), to identify operators with very good, or mediocre, average well performance. For example, if you use the “First flow” selection to only select wells that started production in 2011-2015, you can see that of the operators with at least 10 wells, Enerplus and QEP score very high, with on average about 180-190 kbo in the first 2 years on production. Most of their production is in the Bakken core. Next week I’ve planned another update on the Appalachian basin. Production data is subject to, typically upward, revisions, especially for the last few months in Texas. For these presentations, I used data gathered from the following sources listed below. Production data for Oklahoma, where several tight oil & gas plays are located (e.g. STACK & SCOOP ), is not yet available on this website. When I hover over the Total Gas (with “all” selected) it gives 35 million Mcf/d. I think this should be 35 Million cf/d. No, these wells produce about 35 Bcf/d, which is indeed 35 million Mcf/d. For Texas, I indeed do not have water production. However, I do have gas & oil (+ condensate) data, so the Gas Oil ratio view does give a complete overview. There is no data on water to oil or gas to oil for Permian basin in Texas in this presentation, is that correct? Your website is very impressive! Have you looked at the Utica in Ohio? I believe there are now 3 , 19000 foot laterals. > Have you looked at the Utica in Ohio? Sure, on the right hand side you will find a list of recent posts, and I just did one on Ohio, Pennsylvania & West Virginia, which you can find here. Ohio releases production data once every quarter, and soon afterwards I typically also publish the results here. > I believe there are now 3 , 19000 foot laterals. Indeed, I find a couple (5) of very long laterals (>17000 feet) drilled by Eclipse Resources (Guernsey county) & Antero Resources (Noble county). Only one of them was drilled last year (Purple Hayes 1H), so there is not much production history yet for these wells. That one did break some records. => then you will see that this well ranks #1, with 70% more oil recovered in its first half year online (170 kbo), compared with the #2. I plan to show soon more about how well productivity is related to lateral length.